We always offer a complimentary consultation. $250 off 24 hour care for the first month of care (30 consecutive days). We offer the following services: in home care, companion care, personal care, family respite, Alzheimer's and dementia care, and Hospice supportive care. Our staff are available for as few as 2 hours per week up to 24 hour daily care. 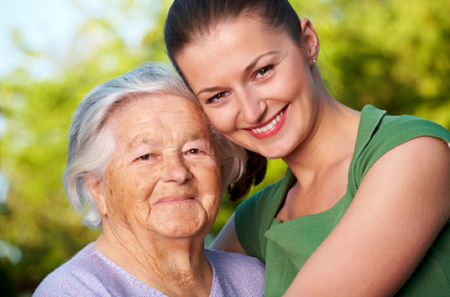 As your needs or that of a loved one often change, we adjust our services accordingly. It is important to take breaks from caregiving on a regular basis so you can rest, relieve stress and take care of your own needs. Allow yourself to be a spouse, son or daughter again. Allow us to help you find the balance between being a caregiver and taking time for yourself. I just contacted Choice Senior Home Care, and had a very unprofessional experience with the person who answered the phone. A person named Kim answered the phone, like it was her personal cell phone, no company name announcement, just this is Kim, and sounded like I was disturbing her. First impressions are everything, and this first impression made me decide to immediately take my business elsewhere. I'm sorry for your experience. The business line is 517-304-3069. You did contact a personal cell. I wish you the best of luck finding a home care service. I'm sorry for your experience. The business line is 517-304-3069. You did contact a personal cell. I wish you the best of luck finding a home care service. Stacey. The caregivers at Choice Senior Home Care have been helping our disabled daughter live on her own for the past year. Their staff is very professional, compassionate, and efficient. The breadth of services runs from assistance with personal hygiene to tasks involving household administration. It gives me peace of mind to know that we can depend on them to be there as scheduled and are available for the occasional unscheduled requested visit. Stacey and the caregiving team at Choice Senior Home Care provided outstanding care while my mother-in-law was very ill and receiving hospice services in our home. Their kindness and professionalism helped to make things easier during a very difficult time. I have recommended them to friends and plan to ask them for their help again this summer when my father visits for a few weeks. We have had experience with other caregiving services in the past and Choice Senior Home Care is in a league of its own with respect to quality, compassion, and professionalism. I would highly recommend Stacey and her agency to anyone who is looking for help taking care of their loved ones at home. Kim and Stacey from Choice Senior Home Care helped my mother during the last two years of her life. At first Mom needed grocery shopping, help around her apartment, and help getting to doctor appointments. As time went by, Mother needed much more care, and for most of 2013 Choice Home Care was there every day for at least two hours to prepare meals for Mother, make sure she ate breakfast and lunch, do laundry, shop, accompany Mom to doctor appointments, and countless other tasks and errands. They took Mom out whenever they could and for as long as she was able, and they accommodated our progressing needs seamlessly. They provided thoughtful, intelligent, loving, compassionate care, and Mother loved them. For the last two months of Mom's life, they provided 24-hour care, and worked with Hospice during the last few days. They did everything for Mom -- feeding, transferring, toileting, bathing -- and attended to all of her needs. I relied on them to a great extent, and asked them to attend meetings with doctors and other caregivers. We will be forever grateful for the help they gave Mom -- and us -- getting through that last passage in life. I have recommended them to my friends and associates in similar situations, and will continue to do so. Thank you! Choice Senior Home Care has been a Godsend to our family! We found that our mom just could not be left alone anymore after cancer surgery, and all that it took out of her. She needed help 'round the clock with feeding, bathing, dressing, toileting, walking - you name it, she was totally dependent on us. As hard as we tried to pull together as a family to help her out, it was obvious we were going to need some help! As soon as we called, we had Stacey from Choice Senior Home Care at our house, coming up with a care plan, and they started right away. They were able to provide round the clock care when it was needed, and have been very flexible with scheduling, now that mom is getting a lot better and becoming more independent again. Mom was originally not too happy with the idea of strangers coming in to help her, but she quickly began to appreciate all the staff, and came to see them as wonderful friends that she looked forward to seeing each day. They always make sure she's getting her nutrition, her exercises, and everything else she needs, plus they spend that quality time keeping her company and making her days brighter. We would highly recommend Choice Senior Home Care to anyone who is looking for someone they can trust to come into their home and take care of their loved ones.